(May 7, 2017) -- New York based singer/songwriter Danielle Martin is a storyteller who puts vivid and painfully honest scenarios to music. This up and comer chooses to tell the story of how insecurity and love conspire to allow a woman to be the fallback chic in the acoustic track “The One.” The song tells a story that is a reality for many people. Perhaps someone is the so-called side chic that a guy can’t take in public because he has too much to lose with his real family. Perhaps the guy would rather keep the relationship clandestine for – ahem – aesthetic reasons. Regardless Martin captures the anger the comes with the realization that someone views you as an object to be used and hidden. 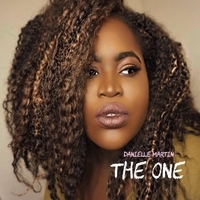 Danielle Martin - "The One"